Each business activity, and ecommerce is not an exception, has two different sides – creative searches of brilliant ideas and daily routines of managing inventory, customers, orders, etc. And usually, the last ones take much more time and efforts. Just like the bulk of the iceberg is hidden under the water the main part of each store management routine is carried out on the backend. Managing products, prices, stocks, categories, brands, vendors, etc. is so time-consuming and irritating that sooner or later you start looking for a solution to increase your productivity. Luckily, we have a great tool for Magento store owners able to save much time each day you manage product attributes and other product information. The Admin Product Grid extension allows you to edit product attributes inline and easily create a custom view of the Manage Products grid, which fully meets your commercial needs. On the product page of the extension you can find a vivid use case describing the benefits provided by Admin Product Grid. In a nutshell, the use case describes the situation, when you manage 5 product attributes daily in average. It clearly shows that the process flow involving Admin Product Grid takes just 6 steps to edit the attributes, while the native Magento flow requires 12 steps to be done. This way, the advantages provided by the module are evident. Since each business has its own and sometimes very specific commercial objectives it usually needs exclusive backend tools and grid views to perform own tasks. 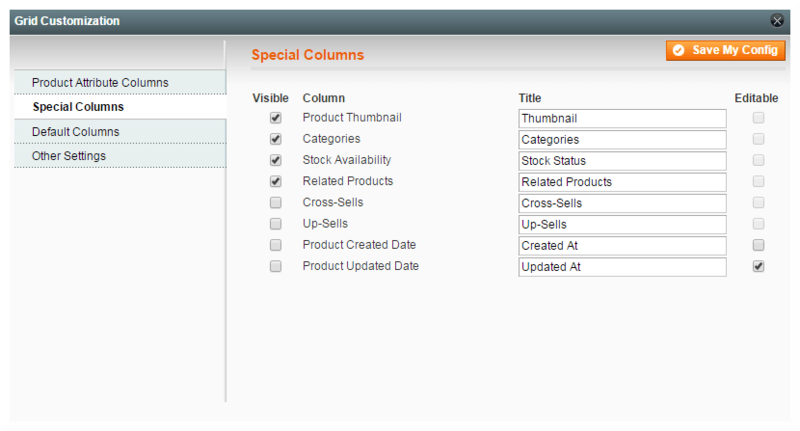 Using Admin Product Grid you are able to create “100% right” Manage Products grids, containing all necessary attributes and special columns organized exactly as you need. The module provides you with advanced control facilities, which embrace automatic data validations, the opportunities to make critical attributes not editable or undo recent changes. All these allow you to reduce the number of human errors and needless corrections. Determine the maximum number of associated/related products. Save changes instantly without reloads (powered by AJAX). 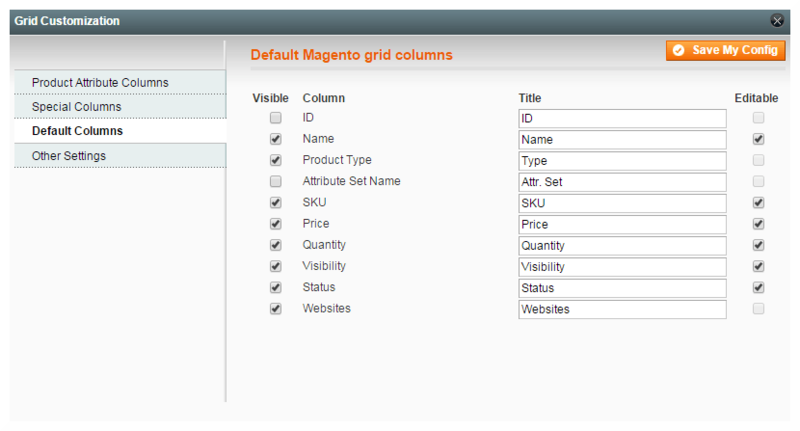 You can also easily refer to the changes you made right from the Manage Products grid. 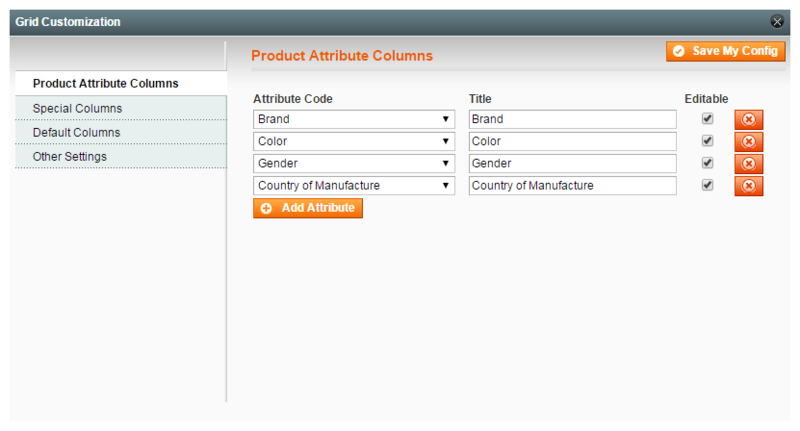 For this purpose, the Manage Products (Extended) grid provided by the extension contains links to frontend and backend pages of corresponding products. Admin Product Grid is a new product in our portfolio, but our customers have already evaluated the practical benefits of this extension for their daily work facilitation. Please visit the product page of the extension, find the comprehensive functionality description or try the module in action in our demo store. If you have any questions regarding the Admin Product Grid extension, share them in comments below or contact our support, please. Great extension from Aheadworks as always!